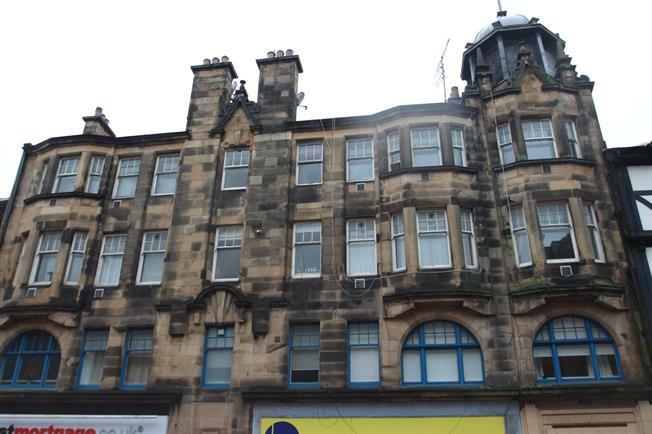 2 Bedroom Flat For Sale in Falkirk for Offers Over £69,000. A rare opportunity to acquire well-proportioned traditional two bedroom flat in the heart of Falkirk town centre. The property occupies the top floor of Vicar Chambers building and provides accommodation to include reception hallway, sitting room with open plan access to the kitchen, two double bedrooms three piece family bathroom with a thermostatic shower over bath. Practical features in the property include gas central heating. There is a residents roof terrace on the first floor, which the property has access to. The large town of Falkirk is situated ideally for commuting to Glasgow, Edinburgh, Stirling and Fife. The town provides extensive high street shopping facilities and main line rail links providing services to Glasgow, Edinburgh and beyond. Schooling is available at both primary and secondary levels.